As much as I loved Ridley Scott's masterful 1979 space thriller Alien, it was refreshing and cathartic to witness James Cameron's thrill ride of a sequel. 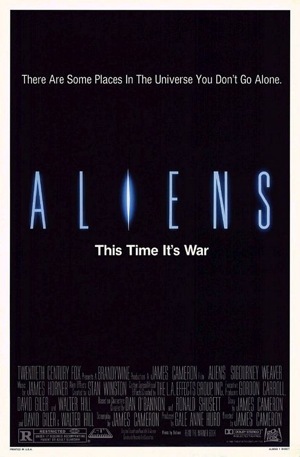 Aliens takes place 57 years after the events of the first film. Ripley (Sigourney Weaver), the sole survivor of the alien attacks on the Nostromo, awakens from her half-century hypersleep to discover that the planet has been colonized by the very company she worked for. Ripley heads back to the planet with a group of tough space marines to uncover the truth about what happened to her crew, only to relive her old nightmare as she witnesses the aliens terrorize everyone all over again. Aliens is a remarkable achievement on many levels. It's also one of the most frightening films I have ever seen. Kurt Russell reteams with his frequent collaborator John Carpenter (Escape from NY, The Thing, Elvis) with the hilariously goofball adventure-comedy, Big Trouble in Little China. 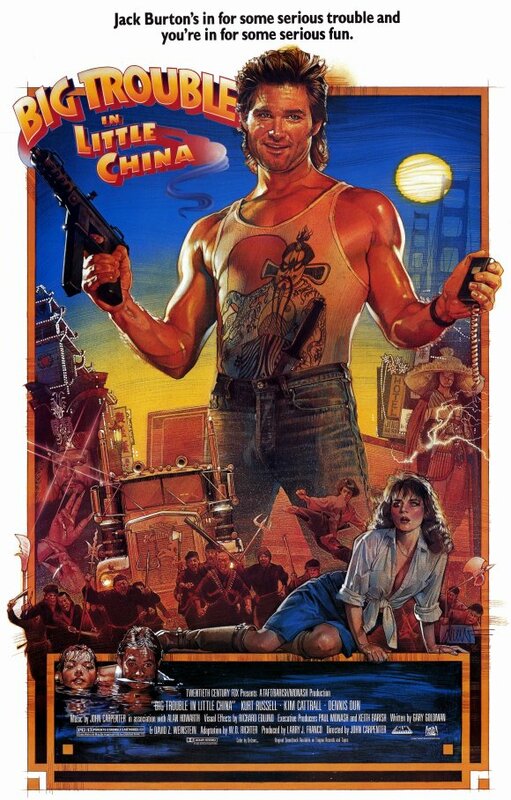 Russell is Jack Burton, a trucker and a real man's man who gets caught up in a truly bizarre plot involving kidnapping girls with green eyes, a 1000-year-old magician who seeks mortality, and a supernatural war underneath Chinatown. Russell is a blast, displaying his versatility as an action star who can most certainly bring on the funny. This is easily my favorite from the legendary Mr. Carpenter. 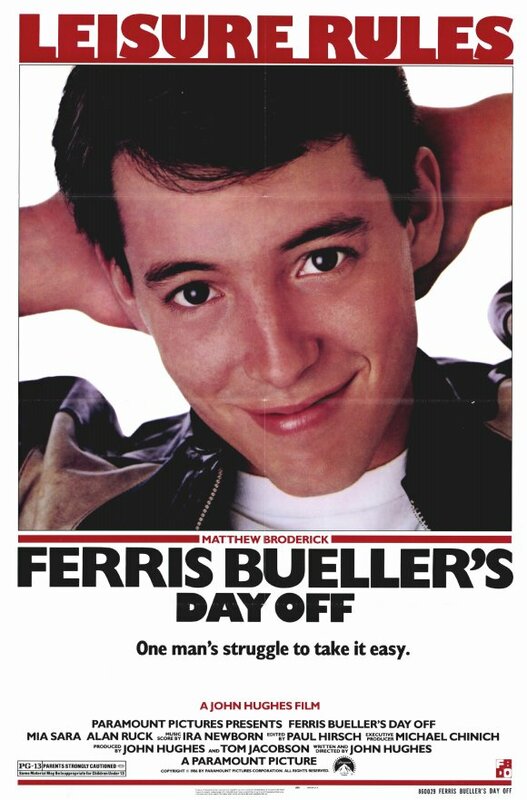 One of the most immensely likable films of the 80's, Ferris Bueller's Day Off is about a charming free spirit who skips school to embark on a trip with his best buddy Cameron (Alan Ruck) and girlfriend Sloane (Mia Sara). Why? Well, because he can. Ferris Bueller gets away with everything, much to the chagrin of his sister (Jennifer Grey, so good here) and Principal Rooney (Jeffrey Jones, natch). Ferris Bueller's Day Off made Matthew Broderick a star and it's so easy to see why. "Are you suggesting that I'm not who I say I am?" 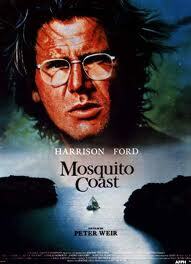 In The Mosquito Coast, you will see Harrison Ford's most underrated performance. He plays Allie Fox, a driven inventor whose contempt for western civilization compels him to move his family to Central America to begin anew. Peter Weir, who directed Ford in Witness in the previous year, films this drama with startling authenticity. River Phoenix (who would go on to play young Indiana Jones three years later), in a terrific performance, plays his son who resists his family's sudden move. The story is a bit out there (he builds an ice machine in the middle of the jungle, for cryin' out loud) but the acting showcases between Ford, Phoenix, Helen Mirren and Martha Plimpton make The Mosquito Coast a thrilling, insightful experience. Also noted as Ford's own personal favorite. Nostalgia is a powerful thing. In adapting Stephen King's popular short story, Rob Reiner nails the tone of Stand By Me, a tale of innocence lost when a quartet of young teens discover a body near the railroad tracks. River Phoenix (yet again), Wil Wheaton, Jerry O'Connell and Corey Feldman are perfectly cast as boys who become men. Adding a touch of class is Richard Dreyfuss narrating the film as a man who looks back with fondness and sorrow. "Would you say I have a plethora of piñatas?" 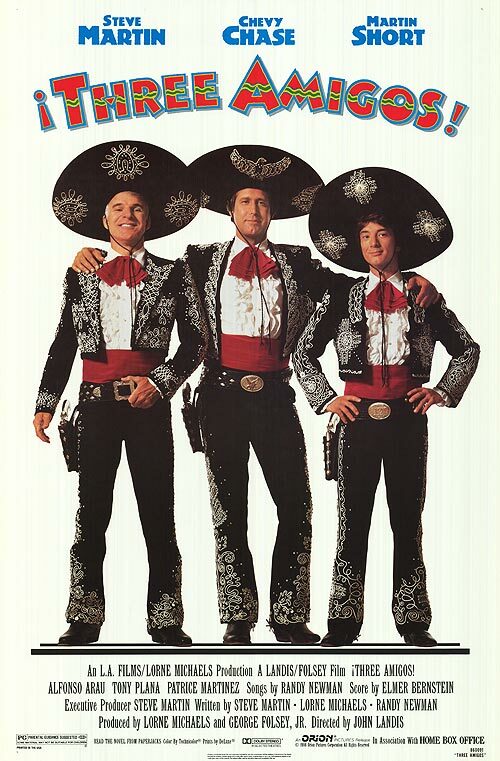 In Three Amigos!, one of the funniest movies of the decade, Lucky Day (Steve Martin), Dusty Bottoms (Chevy Chase) and Ned Nederlander (Martin Short) are a band of unemployed silent film actors who travel to Mexico in the hopes of scoring a gig. When they discover a cruel gang terrorizing a small village, the actors need to put their bravery to the test. John Landis directs this endlessly quotable ("Are gringos falling from the sky?" "Yes, El Guapo!") and sweet natured comedy that I still hope, to this day, gets a bona-fide sequel. "Sew very old one, sew like the wind!" I've only seen two of the films on here, and even that might be overstating things. Aliens I definitely have seen, and it woudl certainly end up high on my list of the year were I to make one today. Great sci-fi action with memorable characters. Comparing it to Alien seems unfair as they're so different, but I do prefer the first one's scarier approach. Still, Cameron's film is really good. 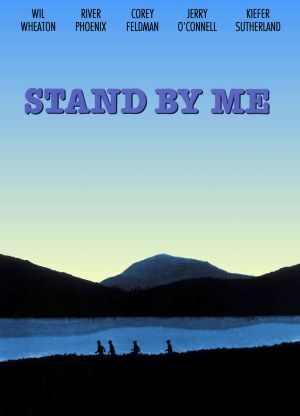 Then there's Stand By Me, which I've definitely seen PARTS of, at least. Not sure whether I've ever caught the whole thing or not, but I intend to rectify that at some point, at least. I know there's plenty of love swirling around for that movie. The rest are unseen. All have been on my radar except for The Mosquito Coast, which I don't think I've ever heard of before. I'll make sure to check that one out. Oh, and I've only seen one film of your honorable mentions: Crocodile Dundee. A fun film with an iconic turn by Hogan. If you're going to check anything out, I do recommend "River's Edge", "The Color of Money," and "Hoosiers" (one of Gene Hackman's best roles). The comedies on here are very subjective and dependent on your own humor, but these dramas (especially "Mosquito Coast") are well worth a look. Oh! Didn't see Top Gun there in your post. Yeah, I've seen that one, of course. That's a good one. I'll have a look at your suggestions. Cheers! Great list. It certainly was a different time, although there's so much variety. Love nearly every one of those films all for different reasons.